The north-east of India consists of the states of Assam, through which flows the vast, turbulent Brahmaputra river, Meghalaya with its hill stations and tea gardens, and the tribally dominated hill states of Arunachal Pradesh, Nagaland, Manipur, Tripura and Mizoram which are the border states with China, Burma and Bangladesh. The region has many affinities with its neighbors to the east, and its indigenous people are markedly different from those of the north Indian plains and Bangladesh. 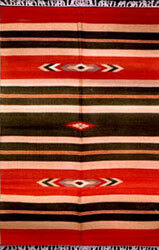 • Textiles of North In.. • Textiles in West Ind.. • Textiles in East Ind..
• Textiles in North-Ea.. • Textiles of South In..